Bang and Olufsen had this module that sounded amazing. 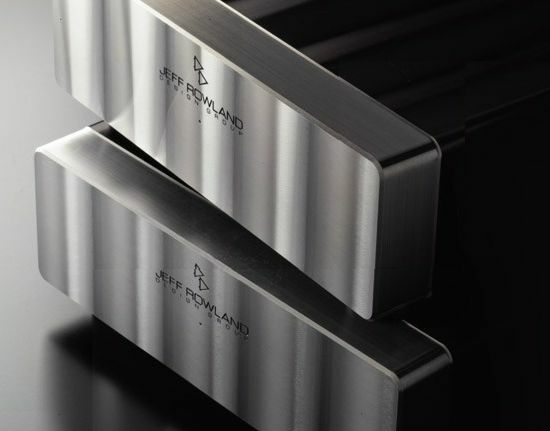 Soon thereafter Jeff Rowland more or less started the hype with their beautiful miniature model 201 monoblocks that had these so called ICE-Power modules inside and soon thereafter PS Audio solidified the trend with a proprietary amp. 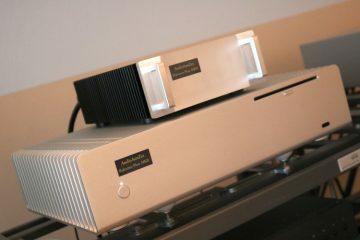 But of course there were others who made class D amps before Rowland did, like Tact, now Lyngdorf Audio and Sharp. The Tact products were beautiful but somehow never reached a big market and remained broadly invisible to the larger public for a long time. And there were do-it-yourself kits a long time before that. Most people know that class D is more efficient than class A or even class A/B and has huge power reserves while remaining cool to the touch. 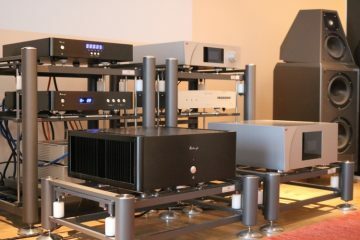 There are now class D amps from B&O (Jeff Rowland), Hypex, PS Audio, Tact (now Lyngdorf Audio) Bel Canto and many others. 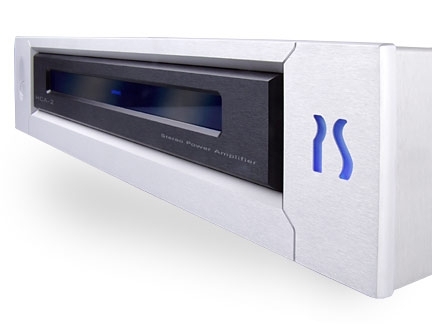 Class D amplifiers are now even incorporated in home cinema receivers. According to Wikipedia, “A Class T amplifier is an audio amplifier IC design. 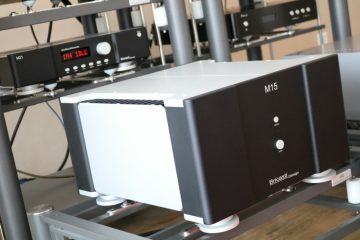 Rather than being a separate “class” of amplifier, Class T is a registered trademark for Tripath’s amplifier technologies. The control signals in Class T amplifiers may be computed using digital signal processing or fully analog techniques.” The page then goes into detail but I’ll not quote all that here. 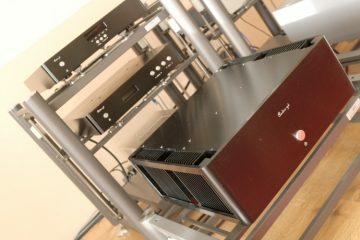 So, it seems that most switching amps are class D, some are erroneously called class T and some really are class T.
But what about the working principle behind it? 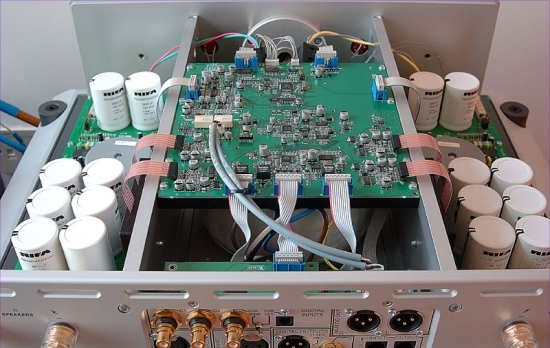 There are good reasons why you could call class D amplifiers analog and not digital. A device delivering power to a speaker is by definition analog. The analog input signal is modulated but is not digital. There are no A-D and D-A converters. Analog in, analog out, analog. Isn’t it? Class D amps are called switching amps because they’re either completely on or off. There’s no inbetween. The output is switched at a very high frequency, modulated to the music. 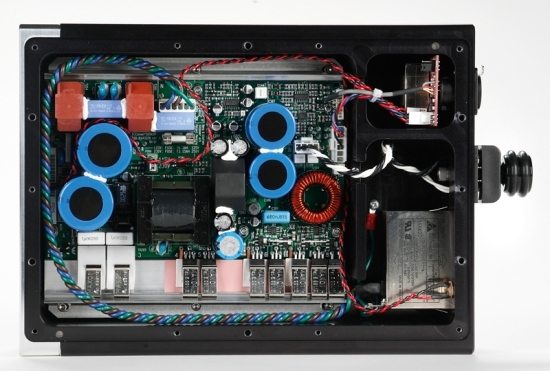 A class D amp delivers either all of the current available from its power supply, or none. The voltage doesn’t change, but the period for which it is on, does. The longer a pulse is on, the louder the music. This is called Pulse Width Modulation, which is also used in digital. 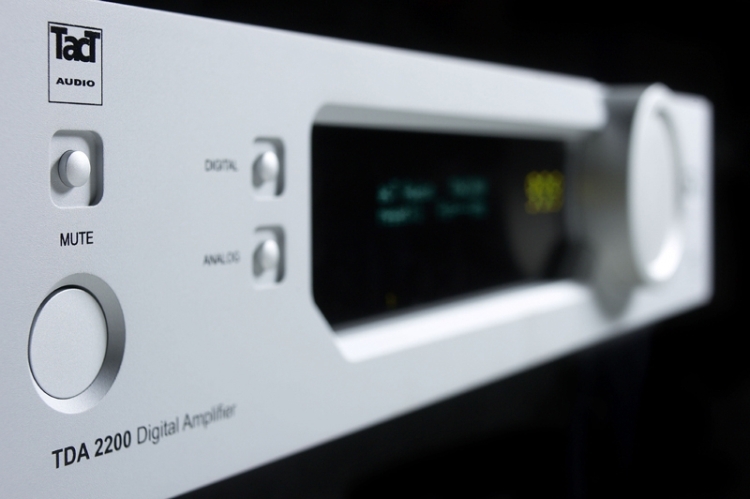 Which explaines why you could mistakely call Class D amplifiers digital. Class D can also use Sigma/Delta modulation, but I’ll let that pass for now. In Class D the music signal is modulated on a very high carrier frequency that can be easily filtered out, together with the neccessary smoothing of the chopped signal to recreate a nice gentle waveform. This method is very different from regular class A/B, where there is (explained in simplified form) a power transistor that is fed by a low voltage signal on one leg, a huge power reserve on the second leg and the speaker on the third leg. 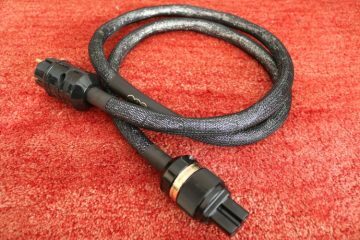 The input signal is merely amplfied. The transister is continually varying its output voltage. Of course, there are exeptions to the rule. 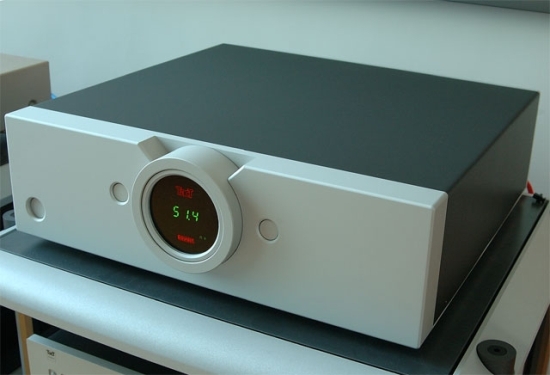 Sharp for example has made an integrated amplifier that has digital inputs, and digital volume control and Tact, now Lyngdorf Audio, also has a completely digital amplifier, although the speakers are fed an analog signal of course. 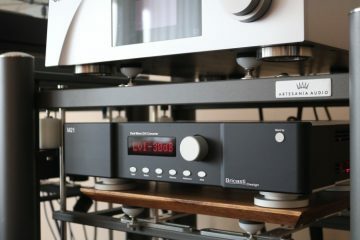 Lastly, the B&O modules are also available with digital inputs. But these still operate in an analogue fashion. Here are some indications regarding efficiency. The number are mere indicative, not absolute, but you’ll get the picture. Class A = 25% efficient. 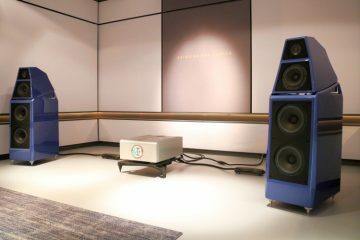 Class A always consumes the same amount of power and to output 40 watts into a hungry speaker it would consume about 100 watts from the mains. Because class D draws less current from the mains, a much smaller transformer can be used and a lot less heat is produced. 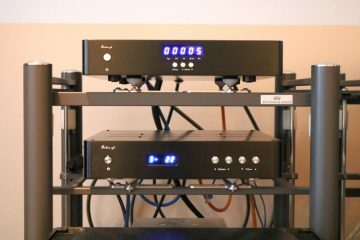 The class D amps I’ve heard so far (Jeff Rowland 201, 501 and Hypex, and some other brands) sound less powerful than the rating suggests and they can lack bass, compared to many class AB amps. The bass sure is tight, deep and fast but lacks some meat on the bones. It is simply not as gutsy and has less slam than regular big transistor amps. It is the nature of Class D to sound very open, agile, fast and well-detailed and at the same time they can sound very smooth, with no apparent grain at all. The good news is that class D can much easier accomplish very good sound at low cost than class AB. For me, regular transistoramps are still the way to go but it looks like Class D will have a bright future. Maybe our governments will even go as far as to forbid production of power hungry amplifiers. If and when that happens, I hope that manufacturers have found a way to make Class D sound more meaty and gutsy. 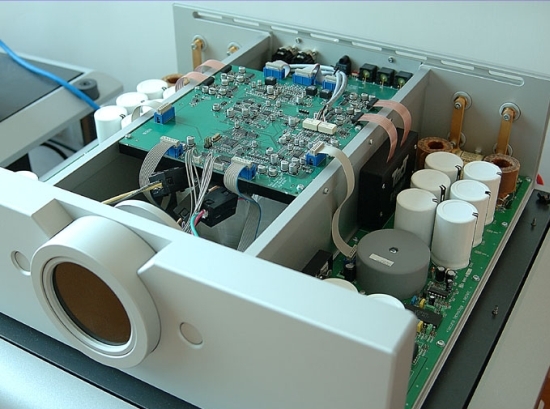 Bryston power from a package smaller than a pack of cigarettes. Wouldn’t that be great? 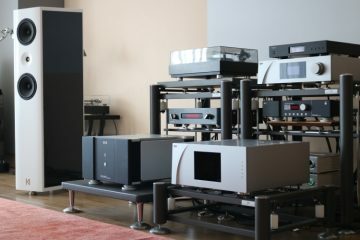 The other day I listened to the Audio Physic Mono digital poweramps. Well, digital, they’re Class ND switching amps, which is a technique I know little about so whether they are in fact digital I will leave in the middle… The point is: these amps do not have the lean sound that I heard in the other switching amps. The Audio Physics sound, well, physical. Theye have a full colour pallete, with great bass on par with my Rowlands. Also detailing is pretty good and they even have a warm and inviting character. The only things missing are the refined subtelty and air in the treble that the Rowlands are capable of. But I wanted to mention this nevertheless, since one or my greatest beefs with switching amps seems to have been overcome. 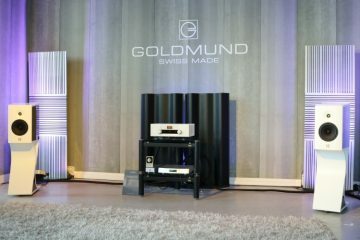 Admittedly by amps made in 2004 that were 15000 euro the time. We may see more developmens here and probably ultimately the demise of class A/B. Which is fine by me, as long as the resultant amps equal or maybe even better traditional designs. 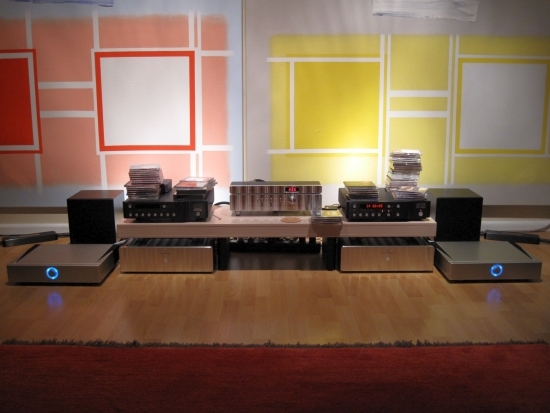 In 2011 I conducted a comparison of 3 class D amplifiers and 1 class T amp. There’s nothing to conclude just yet I’m afraid… switching amplifier technology is still very much being refined every day. So far I still tend to favour class A/B but I am leaning over ever more to the new world. I have no doubt that pretty soon the debate over the classes will be reduced to a discussion over taste, not absolute quality. 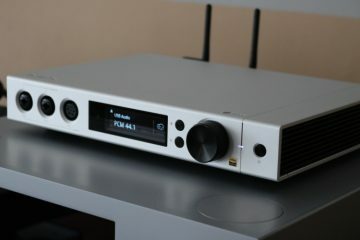 Now having heard the NuPrime ST-10 and MolaMola Kaluga class D amplifiers (reviewed here briefly as part of another review), I must conclude that the future is here now. No longer does Class D have to stand in the shade of Class A or A/B designs. 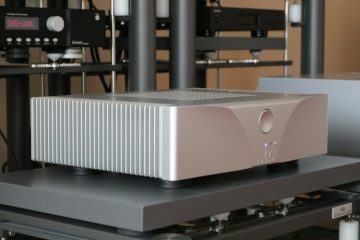 Sure, the delivery is different than the stereotypical extra smooth and rich sounding class A amp, but pure, dynamic, refined and since hearing the aforementioned designs, now also timbrally convincing and with excellent treble performance.